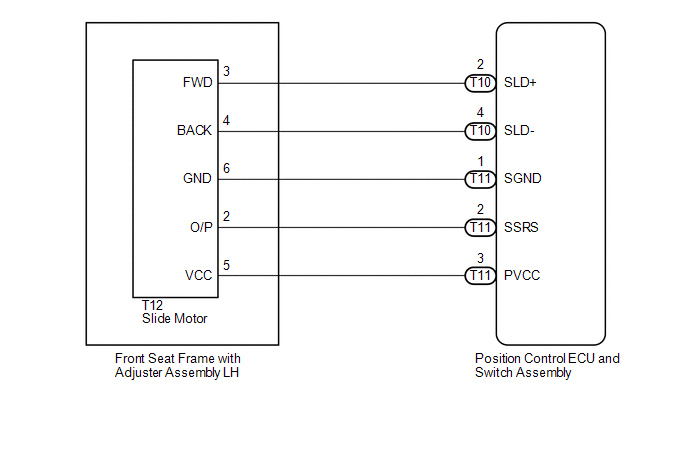 When the position control ECU and switch assembly does not receive a sensor signal despite forward or backward movement of seat by power seat motor operation, this DTC is output. 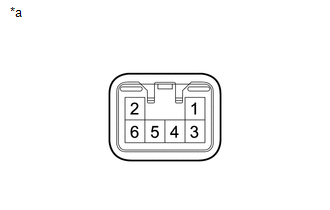 The forward and backward lock detection position of the sensor is the same. (f) Recheck for DTC B2650. (a) Enter the following menus: Body Electrical / Driver Seat / Active Test. (b) Disconnect the T12 the slide motor (front seat frame with adjuster assembly LH) connector. (a) Disconnect the T12 the slide motor (front seat frame with adjuster assembly LH) connector. (b) Check if the seat frame moves smoothly when the battery is connected to the slide motor connector terminals. (a) Disconnect the T10 the position control ECU and switch assembly connector.